**PRESS RELEASE 10/15 by the ASA: ok to EAT during labor! Question: Can a woman eat and drink during labor? Answer: Yes. 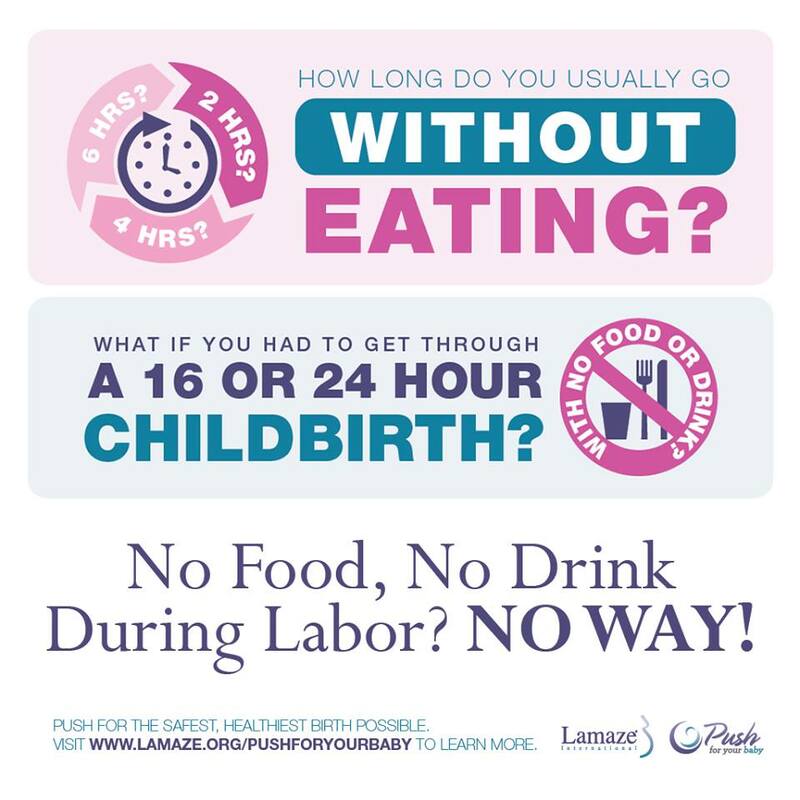 In women who are low risk, there is no evidence of harm in eating and drinking during labor. So what is the risk of aspiration during general anesthesia for childbirth?In one study, authors examined 4097 maternal deaths that occurred in the U.S. from 1979 to 1990. The risk of aspiration during cesarean childbirth was 0.667 per million women, or approximately 7 events in 10 million births(Hawkins, Koonin et al. 1997). [Side note: The probability of this occurring is less likely than being struck by lightning!] In another study, researchers looked at 11,814 women who were given the freedom to eat and drink during labor, with some women requiring emergency C-sections. There were zero cases of morbidity or mortality reported from aspiration pneumonia, even though 22% of women had eaten solid food (Rooks, Weatherby et al. 1989).